Do you want to know the secret to understanding nutrition labels? They’re on every packaged food item you purchase at a grocery store. But how important are they, really? Nutrition labels are there for a reason. They give you a sense of what you are consuming so that you can make informed decisions about what you eat. In fact, nutrition labels can be your ultimate tool in eating clean and losing weight the right way. They don’t have to be confusing, either. 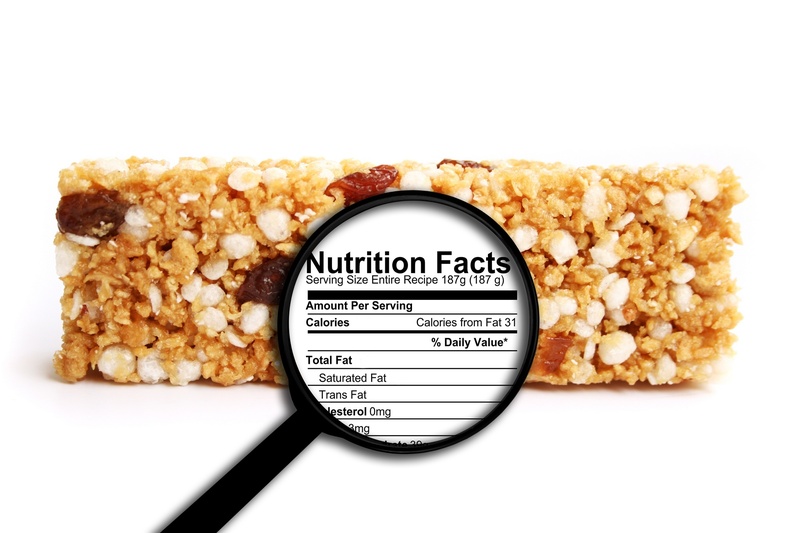 Read on for insight into how to read a nutrition label of any kind. This is the first thing to tackle when it comes to understanding nutrition labels. It will also be the piece of information listed at the top of a nutrition label. All of the information in a nutrition label is based off of one serving size–not the whole box, can, or jar! This is hugely important. Many people assume they can safely eat a bag of peanuts for 120 calories. But that number designates the calories per serving of peanuts, which may only be 1/4 cup. If you want to know how many calories are in an entire beverage or box, check out the amount of servings per container. This is also listed at the top. Simply multiply the calories (or any other numbers on the label) by the number of servings. This can give you the total amount of nutrition you consume with one full container. Sometimes serving sizes are in grams or ounces. It can be hard to understand these portions if you aren’t familiar with these units right off the bat. You can use a converter calculator to change the numbers into familiar units. You may also have a kitchen scale on hand to weigh the servings, if you’re really keen. The key to understanding nutrition labels is getting comfortable with calories and grams. A nutrition label will tell you how many calories you will consume with a single serving. It will also tell you what nutrients make up those calories. A serving of peanuts will also give you set amounts of protein, fiber, sugars, fats, and carbohydrates. These items will be listed in grams. Right now, it’s important to understand how these nutrient values relate to your Daily Value. You’ll see “% Daily Value” listed in the far-right column of a nutrition label. Haven’t the foggiest about what Daily Value means? It actually is what it sounds like. It’s important to consume a certain amount of protein, fats, sugars, etc. in a given day. It’s more important to consume the right amount of these nutrients, based off of the number of calories you ingest daily. You can leverage this useful number in many ways. You can use it as a way to calculate how much protein you’re getting each day. You can also use it to watch your intake of less-healthy nutrients, such as trans fats. It also applies to vitamins and minerals. After the calorie, serving size, and Daily Value breakdown on a nutrition label, you’ll find the ingredient list. This is at the bottom of a nutrition label typically, depending on the packaging. Some products list ingredients to the side of the label or on the front of the package. It’s important to read ingredient lists in tandem with a nutrition label. Don’t worry: with practice, you’ll feel more comfortable doing this. Ingredient lists detail everything that’s in a container. But it’s also important to know that the first ingredient listed is the biggest. In an ingredient list that starts with “cane sugar,” for example, this means that the product is, by proportion, mostly made up of cane sugar. Think of it as a set of numbers in math arranged from greatest to least. Understanding nutrition labels means getting the whole picture. Knowing the whole picture can help you make the best choices when purchasing food items. Now that you have a solid foundation for understanding nutrition labels, it’s time to talk how to use them. Always read a nutrition label before you purchase a product. You don’t have to perform calculations for everything. But at least learn to read it comprehensively. Learn to recognize high and low daily values. What does a very high daily value look like? A high daily value is 20% or higher. A low daily value, on the other hand, is 5% or less. It’s important to leverage these to your advantage. For example, you may want to avoid products that offer 23% of your daily value of trans fats in one serving. On the other hand, you may want to buy products that offer 2% of your daily value of cholesterol. In general, if you can’t pronounce the majority of items in an ingredient list, that food item is a no-go. This indicates a lot of chemicals and processed foods that can lead to more harm than good. Choose foods that have fewer ingredients in the ingredient list. These foods will be closer to the source and will include fewer chemicals. Always understand what you are eating. You can do this by understanding nutrition labels’ serving sizes, and how many servings there are per container. Use this knowledge to compare food products and make educated choices. Reading a nutrition label doesn’t have to be like reading something in a foreign language. Understanding nutrition labels is a key factor in managing weight loss and maintaining a clean diet. Make sure you fully grasp serving sizes and amounts. Understand what Daily Values are all about, and learn how to read an ingredient list properly. Leverage this knowledge so that you can feel empowered when purchasing any food product. At ChiroThin Weight Loss, we love helping individuals achieve their weight loss dreams. Learn more about our program today! Or start your journey by reaching out to a ChiroThin doctor near you.